Earlier in the week, PCWorld covered the unveiling of MakerBot's new toy--the Makerbot Replicator--which was announced at CES on Monday. 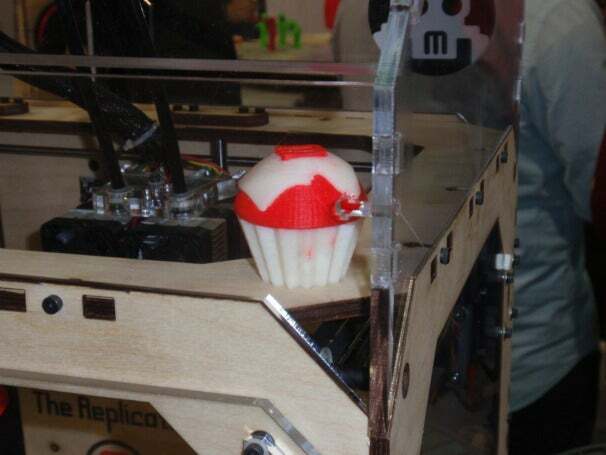 We made the excursion to the Makerbot booth at CES--it's tucked away toward the back of the upper level in the South Hall at the LasVegas Convention Center--to bring you some extra sweet pics of the new MakerBot and the sorts of creations it's capable of. The Replicator comes in two versions, one which has a single extruder--for $1749--and the other which has two extruders--for $1999. The double extruder allows you to print in two colors at the same time, and MakerBot says it's the first consumer-grade 3D printer that can do this. 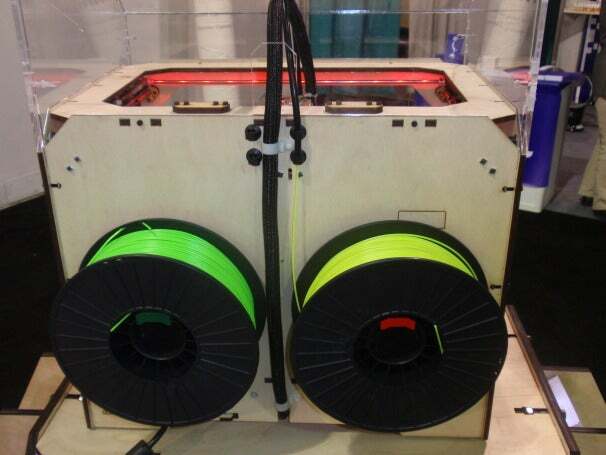 The MakerBot also has a 8.9 x 5.7 x 5.9 inch build envelope, or almost 5 liters of build volume. 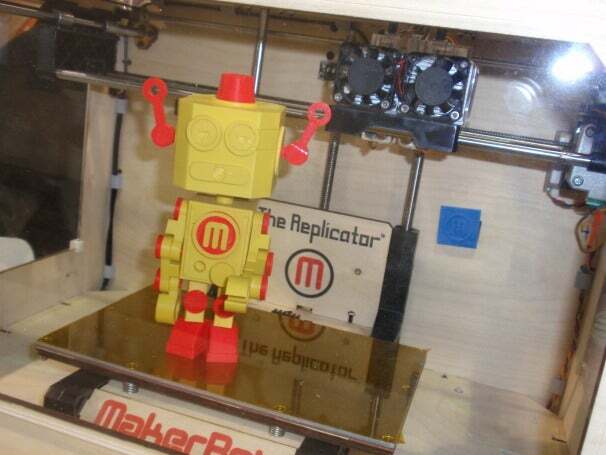 This gives you considerably more space to work with than what you get with the the earlier MakerBot Thing-O-Matic, making it easier to fabricate those more complex parts, like, say, an awesome 3D-printed toy robot. 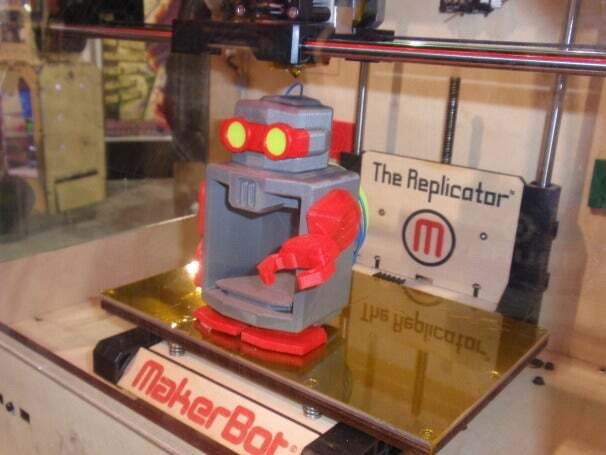 To learn more about the MakerBot Replicator--and to pre-order--make sure to check out MakerBot's blog.